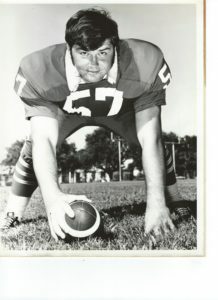 Rick Page - Hall of Honor 2015: Rick Page was born in Houston, Texas on June 5, 1949 and graduated from Stephen F. Austin HS in Houston in 1967. While at S.F. Austin he won the "Pigskin Press" award for outstanding scholar/athlete and was voted the "Outstanding Senior Boy" by the faculty. He was recruited by Austin College in Sherman, Texas to play football. While at Austin College, he was a four-year letterman and started every game at offensive center, one of only three known players in AC history to start every game for four years. He was inducted into the Austin College Hall of Honor in July of 2014. He graduated with his B.A. in 1971 and his M.A. in 1972. He received his Certified Athletic Administrator certificate (CAA) in July of 2001. He was Defensive Coordinator for Wylie High School when they won the State Championship in football in 1977 and were State Finalists in 1978. He was selected Coach of the Year in 1982 when he was coaching in Red Oak and they won their first District Championship in forty years. He was also Head Coach at Pasadena Sam Rayburn and Aledo high schools. He has also served schools as Head Coach for volleyball and track and has coached baseball and basketball as well. Rick coached for twenty years, nine of those as Head Football Coach, prior to becoming Assistant Athletic Director for Bryan ISD. Rick served as Assistant AD at Bryan for twelve years. He was primarily in charge of budget and facilities and helped to build new baseball, softball and soccer fields as well as resurfacing and remodeling done at Bryan’s football stadium. He also was also responsible for transitioning Bryan’s entire athletic budget to being computer-based and started one of the State’s first high school athletic websites for Bryan High School. Rick began using a personal computer in the Athletic office at Red Oak High School in 1982 and may have been the first coach in Texas to do so. Rick took over the duties as Corpus Christi Director for Athletics in July 2004. While there he oversaw remodeling of Buccaneer Stadium and the additions of scoreboards and sound systems to four game venues. After three years as AD at Corpus, he retired and has worked for ACS Athletics (Assistan tCoach Systems), PointStreak and 5 Star Sports and is currently employed by the Texas Coach Network. 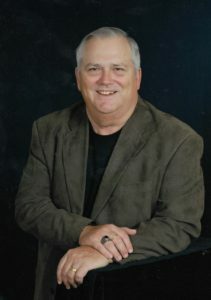 Rick has been a member of the Texas High School Athletic Directors Association since 1993 and has actively served on their Board of Directors as the first Webmaster for twenty-one years. Rick is married to Dr. Cheryl Page, who recently retired as a research Scientist at Texas A&M University. They have two children, Bret, who is Defensive Coordinator at Bryan High School in Bryan, TX, and Hilary, who is now employed at the AECOM engineering firm in The Hague, Netherlands as a transportation planner. He is currently serving as the treasurer for the First Presbyterian Church of Bryan, Texas when not participating in his hobbies of fishing and reading. He also is thoroughly enjoying his two grandchildren who also live in Bryan.